THE WOODS --- Since the latest North Korean nuclear test, Adventist wilderness bunkers have turned into the hottest properties on the real estate market. 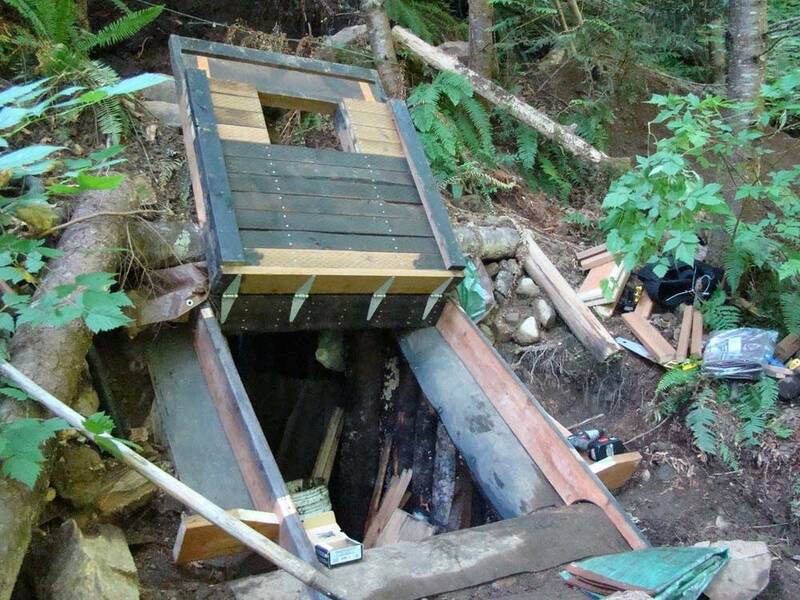 Previously the exclusive obsession of conspiracy theorists and especially paranoid Adventists, off-grid wilderness bunkers are now selling like hot cakes. "Every time North Korea fires a missile or tests something, the prices of these hideouts soar," said Adventist real estate expert Timo Trobles. "Even the simplest of backwoods shelters without standard amenities like Little Debbie's boxes and the SDA Bible Commentary are costing more than five years at the priciest of Adventist colleges." Trobles added that financing was not available for the bunkers. "Banks won't touch these properties and nobody that makes these things believes they're going to be around to collect on a 30-year fixed-rate mortgage." So when we “flee to the mountains” to hide, do we take our bunkers with us? Are they portable? I know of one Adventist who bought a gun to protect his stash of canned “health” foods in the Time o’ Trouble. (I think the bunker ad said “But wait, there’s more!”) A case of Big Franks is already heavy; now add a bunker and an adequately sized gun and, well, I hope we can flee with that much stuff. These bunkers come with option wheels/trailer hitch. See for yourself on Shark Tank. Lorrie G.. is the big backer on this one. Always leave room for those delicious, never out-dated, nutritious Little Debbies. That is true, and yes he does have that capability with the hydrogen bom that he tested under a mountain (and made a 6.3 seismic earthquake) in early September. Frying our electronics and knocking out the national electric grid would clearly result in the mass destruction of American life. Some experts say as many as 90% of the U.S. population would perish, and it would be an agonizing demise. This type of stealth EMP onslaught is how the world will end. This is Armageddon. IF AND WHEN IT BECOMES NECESSARY, THE USA WILL STICK IT TO THEM WITH “FIRE AND FURY” YAY.